One of my favorite parts of the holiday season is Christmas brunch. In my family, it's a meal eaten between Santa presents and stockings, before we get deep into the other presents under the tree. We usually eat a cinnamon-filled breakfast casserole, along with grapefruits and mimosas, but occasionally we'll mix things up with a new recipe or two. This year, I'm going to encourage you to also step out of your Christmas brunch routine and try one of our new brunch recipes. They're all either ultra-quick or they can easily be made ahead of time — and they've all got some festive flair. And hey, if none of these new recipes strike your fancy, I've included almost two dozen Southern Kitchen classics as alternatives. The choice is yours! “Lurleen” is a tongue-in-cheek Southern riff on the classic French quiche Lorraine. While Lorraine is made using Gruyere and bacon, we've added cooked collards for Lureen's version, as well as swapped in a more neutral blend of Jack cheese and Parmesan. Of course, we had to keep the bacon, and, in fact, we added a bit more than is found in the average Lorainne recipe. (It's the Southern way!) And while we have a slight preference for enjoying this quiche while it's still warm, you can definitely make it ahead of time — even the day before — and serve it at room temperature. Travel to Austin, Texas — the unofficial capital of breakfast tacos — and you’ll find a spicy tortilla and scrambled egg concoction known as migas. There are many different versions, but the best ones allow the tomatoes to cook down into a pulp, then cook the eggs in the sauce and add the cheese at the end. 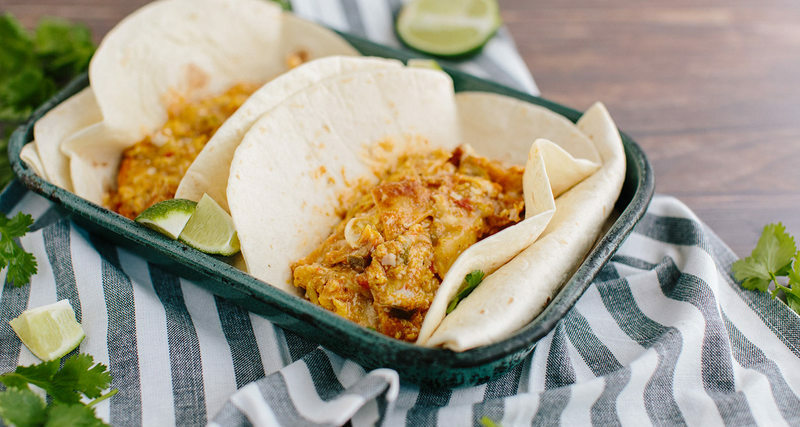 The result is a saucy scramble that begs to fill up a soft flour tortilla. If you need to stagger the work, you can fry the tortillas and make the sauce up to a day ahead of time, then add the eggs and cheese right before serving. Grillades and grits is a classic New Orleans brunch dish that involves braising medallions of beef in a rich stew of peppers and red wine. 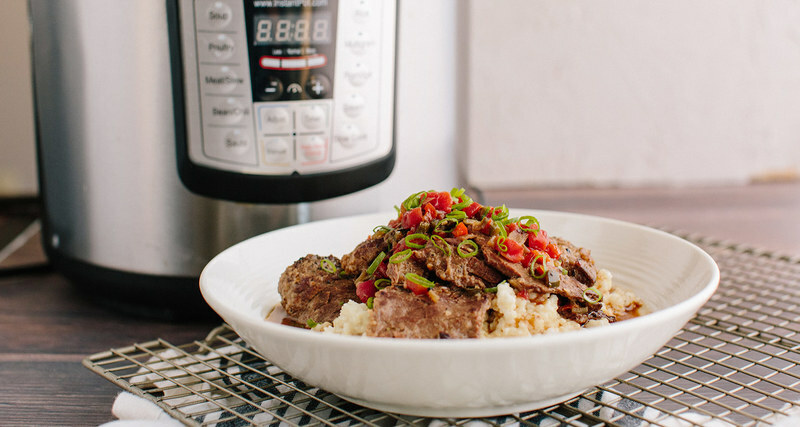 The creamy grits are the perfect foil to the savory braised grillades, capturing the essence of both breakfast and lunch in the same bite. And while you can certainly braise the grillades ahead of time on the stovetop, an Instant Pot will allow you to spend your time on Christmas Eve actually enjoying your family's company. 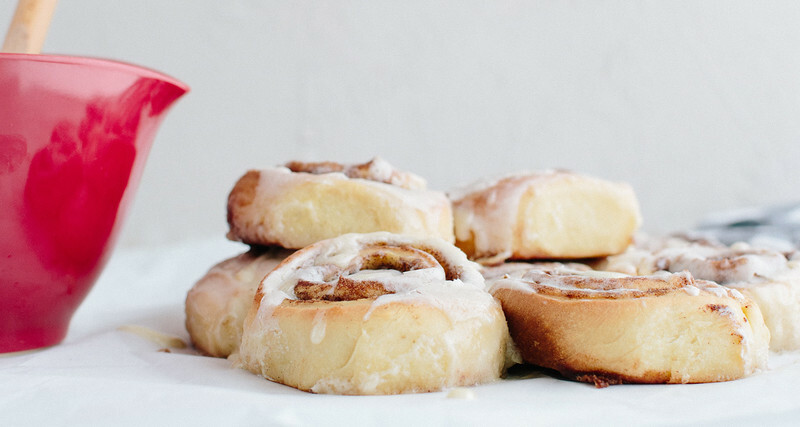 Fewer breakfast foods are more inherently comforting than homemade cinnamon rolls, and this recipe has comfort in spades. Between the brown sugar-butter-sugar filling and the just-sweet-enough cream cheese icing, these classic rolls are sure to quickly become a holiday favorite. To make these ahead of time, knead the dough, let it proof and shape the rolls the day before. 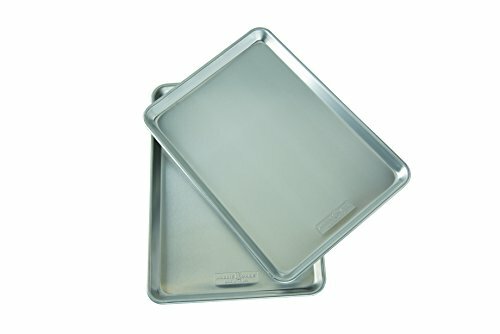 Refrigerate the whole pan of rolls overnight, then double their second rising time at room temperature before popping them in the oven. Make the icing right before serving. 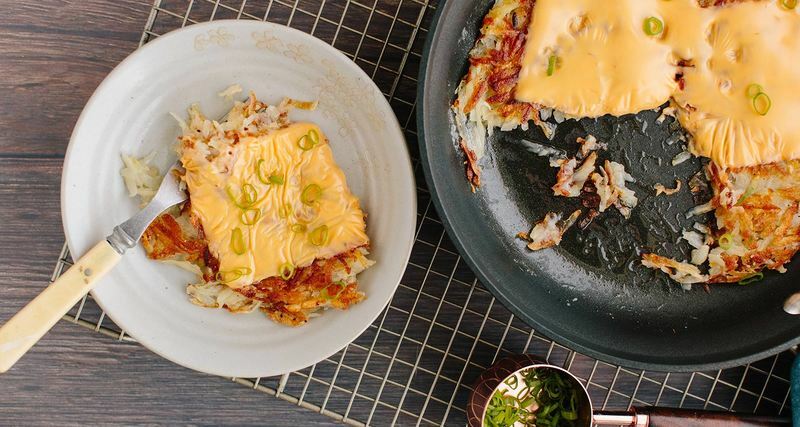 If you’re a fan of Waffle House, you’re sure to love these hash browns topped with American cheese. Sure, you'll need to do all of the work last minute — potato oxidation waits for no one — but they're definitely worth it. Feel free to add as many additional toppings as you'd like, but we recommend cooking all of them separately to ensure ultra-crisp potatoes. 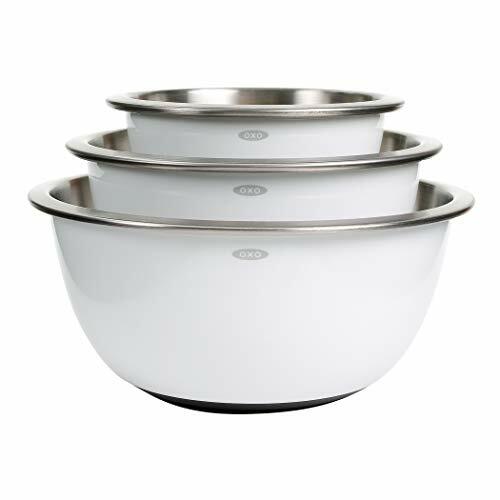 But please, whatever you do, don't go all the way with these. You don't want to drown out all of your hard work. 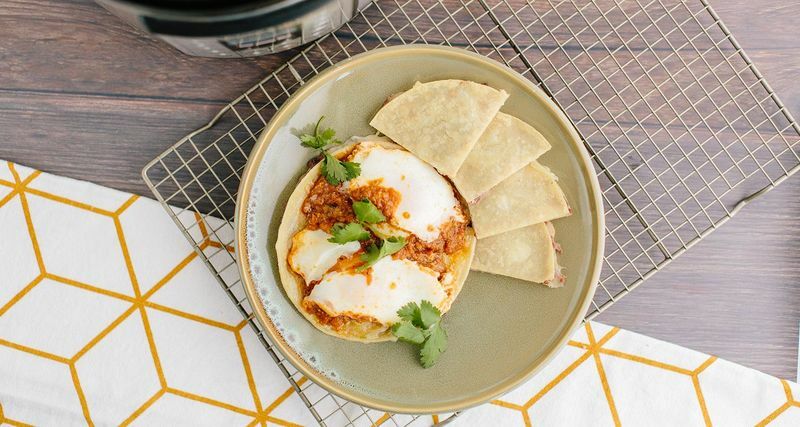 True huevos rancheros can be time-consuming because of the time necessary to develop the deep flavors in a sauce that’s meant to simmer for at least 2 hours. 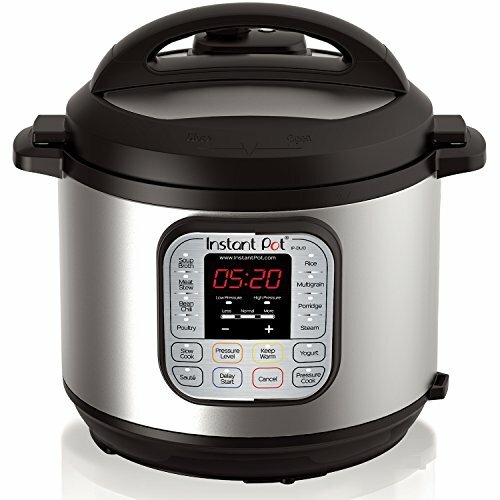 With an Instant Pot, you can cut the cooking time significantly and even cook the eggs in the same pot! Instead of serving this dish with refried beans and tortillas on the side, we like to make the dish even easier to eat by building quesadillas with those traditional side dishes. 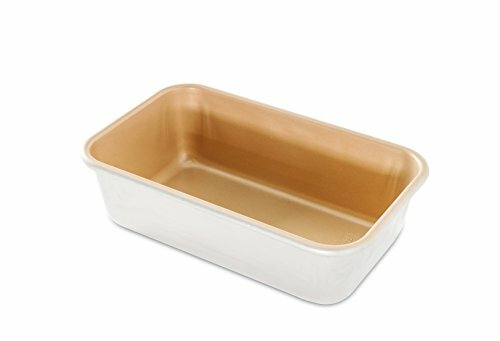 You can make these in the time it takes for the sauce to cook in the Instant Pot. And while none of these components are easy to make ahead, the whole dish comes together quickly enough that you can still open presents and cook brunch, all before noon. 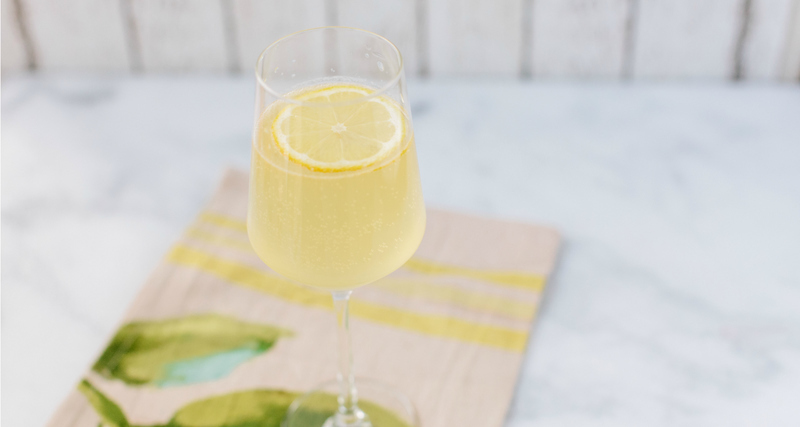 We all know it isn't brunch without a cocktail, and this year, we're making up rounds of French 75 cocktails which, despite the name, are totally Southern. You can mix the gin-lemon juice-simple syrup mixture in big batches and dole it out into individual glasses as needed. Top with Champagne — or any sparkling wine, really — and it's time to celebrate!